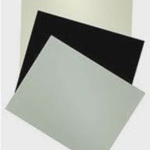 Mat Sheets & Blanks :: All Custom Framing Always 40-50% Off for Portland OR and Vancouver WA - Custom Picture Framing, Picture Frames, Framing and Art Framing and Supplies. 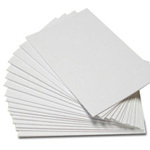 MAT BLANK - Mat board cut down from a larger sheet to the outside dimensions of your backing material, glazing, or frame - ready for you to cut the window opening, or float mount (top mount) your artwork directly on top of the mat board. FULL SHEET - The full uncut size produced for distribution by the manufacturer. 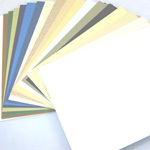 Full Sheet mat boards are 32" x 40" and 40" x 60" sheets. Please Note: Actual mat board colors may vary from you choices below due to color variations that occur among computer monitors.